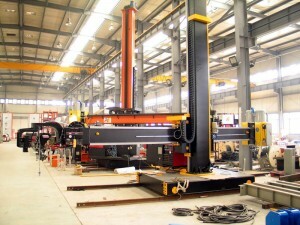 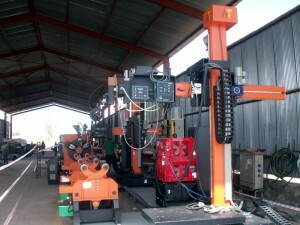 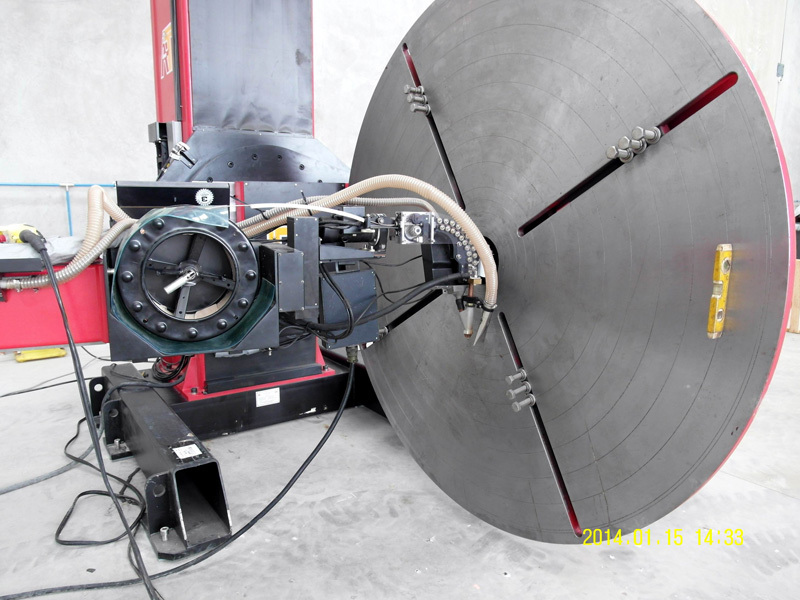 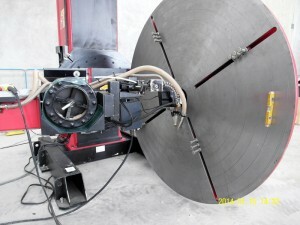 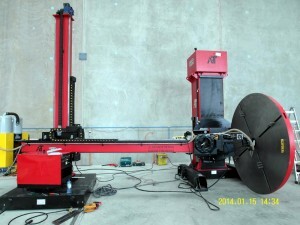 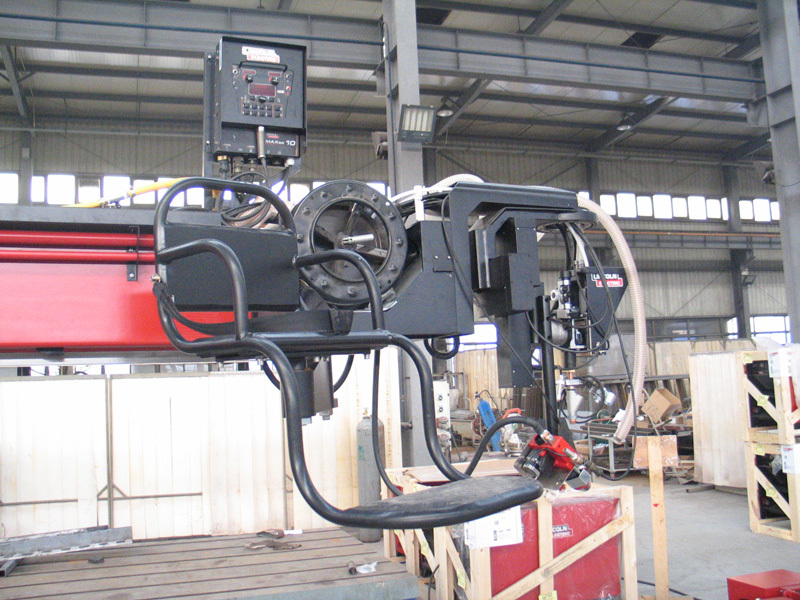 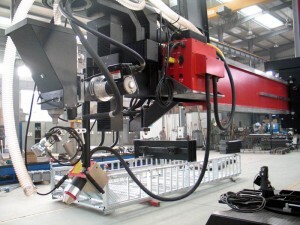 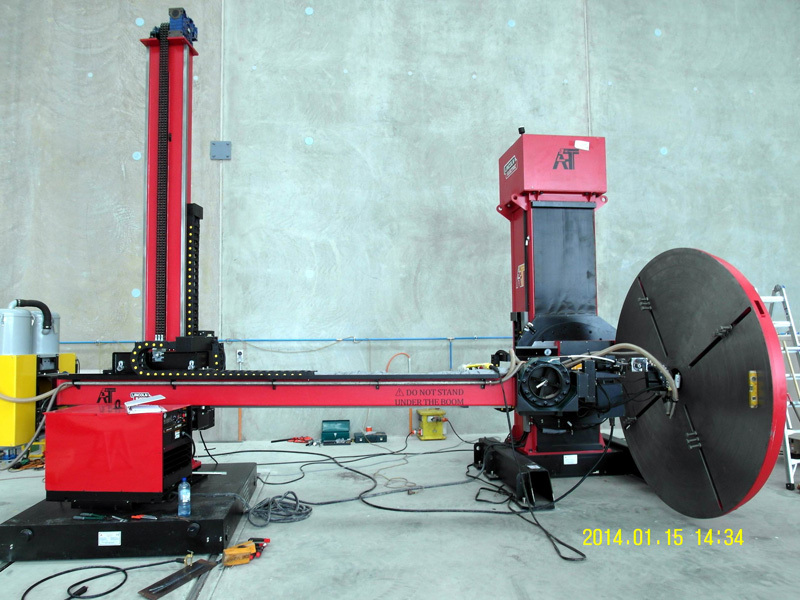 Pipe Welding Machine. 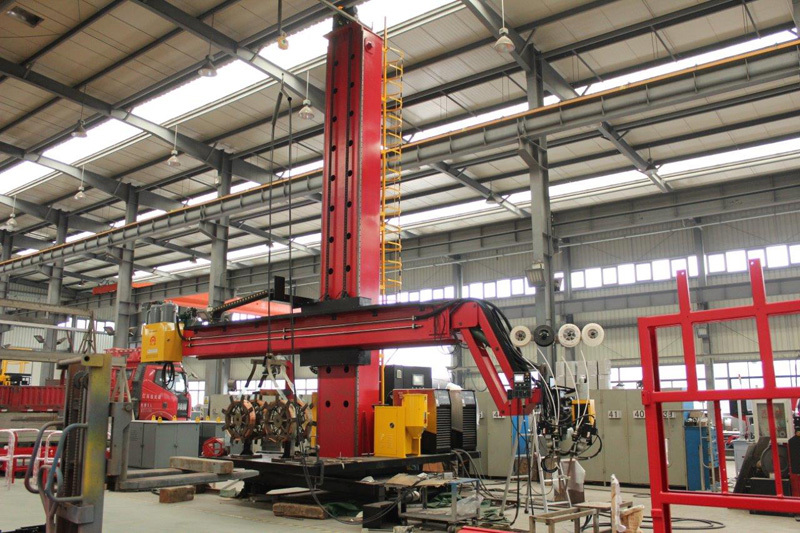 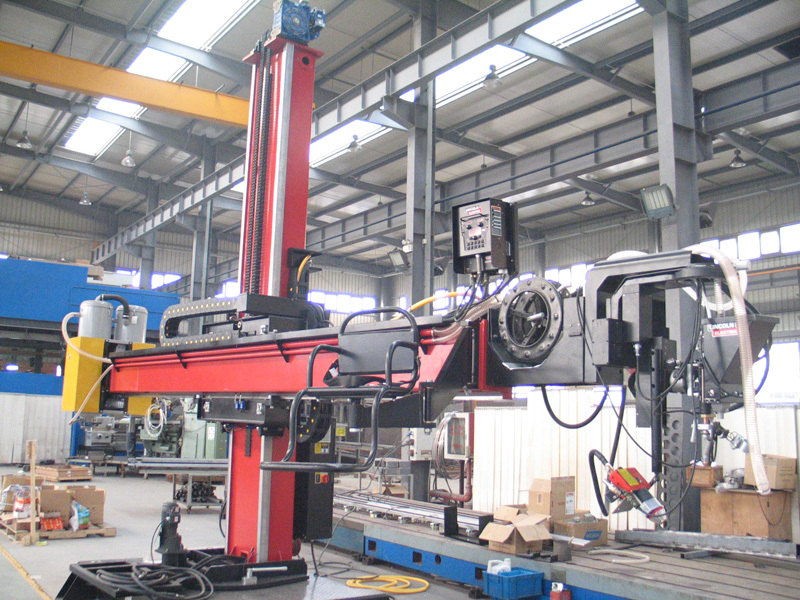 Is a Column Boom Manipulator Consists of a base and vertical column and a rotator with rollers, Lincoln or Miller welding systems and Jet Line controls. 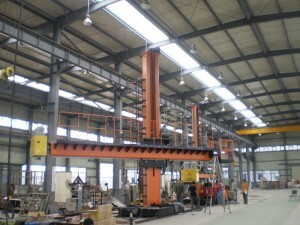 The column rotates 360 degrees around the vertical axis. 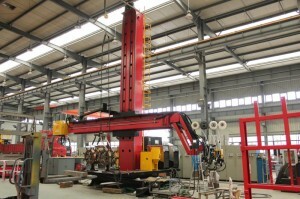 A saddle travels up and down the vertical column, carries a boom that travels in and out along the horizontal. 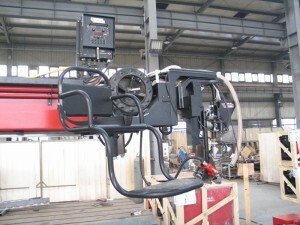 Welding head with different weld gears for TIG, MIG or SAW can be mounted on either ends of the boom and located to the desired position for welding.